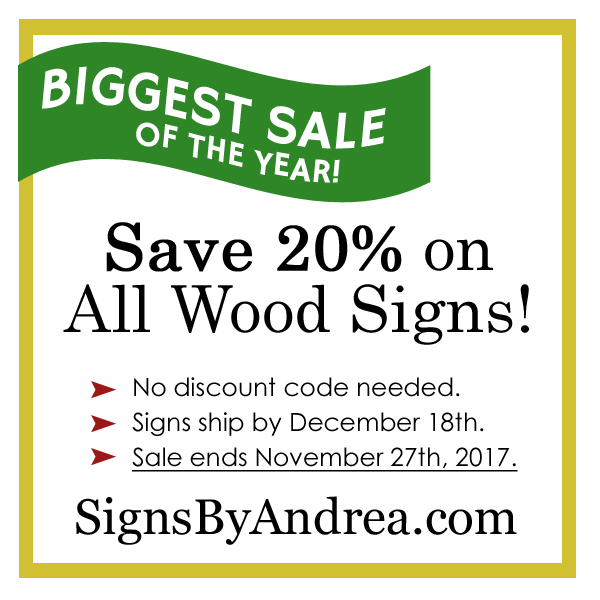 Get 20% off ALL my wood signs! * Hurry—the sale only lasts 4 days from Black Friday (11/24) through Cyber Monday (11/27) 2017. Just add each personalized sign to your cart, and the discounts will be automatically applied—no coupon code needed! Signs of Fall - Save 15%! I love the cozy feeling of fall and all the activities that come with it—back-to-school, pumpkin spice lattes, football games, and fall decor. Let's celebrate my favorite season with a sale! ALL my painted wood signs are 15% off with code SIGNS4FALL through Sunday, September 10th, 2017, including my custom-designed signs (a rare treat!). UPDATE: I've returned from my trip and am working diligently on getting all of my emails, custom sign requests, and sign orders fulfilled as quickly as possible. Thank you for your patience as I was traveling! Orders that were placed July 5th through July 16th will be shipped by Saturday, July 22nd. Orders placed the week of July 17th will begin shipping Tuesday, July 25th. 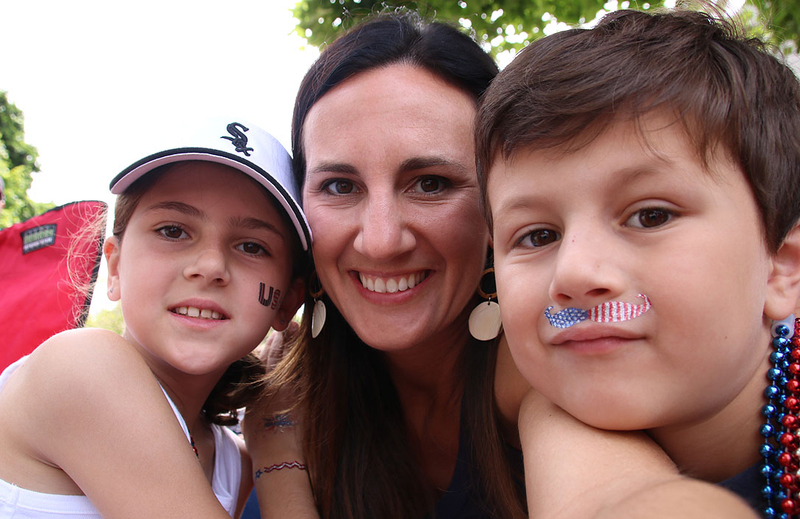 I'll be taking a short painting break from July 5th through July 17th as I travel with my kids during their summer vacation. Sign orders placed July 3rd or later will be painted beginning July 18th in the order they were received. Though I will not be painting, I will continue to be available via email for any questions, custom sign consultations, etc. while I am traveling. I apologize for any inconvenience and thank you for understanding. Thank you so much for supporting my work at Signs By Andrea!